Use Better Life’s Naturally Grease-Kicking Dish Soap on your toughest, greasiest jobs for a clean that can’t be beat. This natural dish soap puts the hurt on grease without sulfates, keeping your hands happy. No need to wear gloves or other accessories – vitamin E and aloe will soothe and moisturize your hands. Discover how pure plant power equals easy rinsing without residue. Ingredients—Lemon Mint: Purified water, potassium cocoate (natural castile soap), lauryl glucoside (plant derived), caprylyl/capryl glucoside (plant derived), decyl glucoside (plant derived), glycerin (vegetable), disodium coco-glucoside citrate, aloe barbadensis leaf extract, tocopherol (vitamin E), citrus aurantium bergamia (bergamot) oil, citrus medica limonum (lemon) oil, cymbopogon schoenanthus (lemongrass) oil, mentha piperita (peppermint) oil, citrus grandis (grapefruit) seed extract. I loved the idea of an all natural soap, but I have to use so much of it to cut the grease. I am really disappointed in this product, and sad that I spent the money to buy 2 bottles. In 2007 two life long friends, Tim Barklage and Kevin Tibbs, were watching their toddlers crawl across the floors and climbing up and around on all kinds of surfaces in the home (and then put their little fingers in their mouth of course). As concerned new parents, they began discussing the dangers of traditional cleaners and the toxic residues they leave behind. Tim (always the optimist) challenged Kevin, an innovative formulation chemist, to create a new line of cleaning products that set the standard in safety and work better than anything out there. No small order, Kevin began his work in the lab with his plant-derived ingredients and Tim got to work on building the brand. The result of their efforts are a line of products that keep kids, pets and the planet safe. 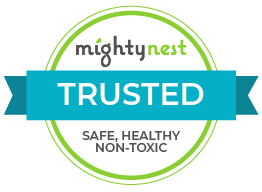 No more harmful chemicals in the air and on the surfaces of our homes and planet. Better Life set out to not only create a better product but a better solution for all.